Take in the beauty of Newport Harbor and Narragansett Bay by boat! 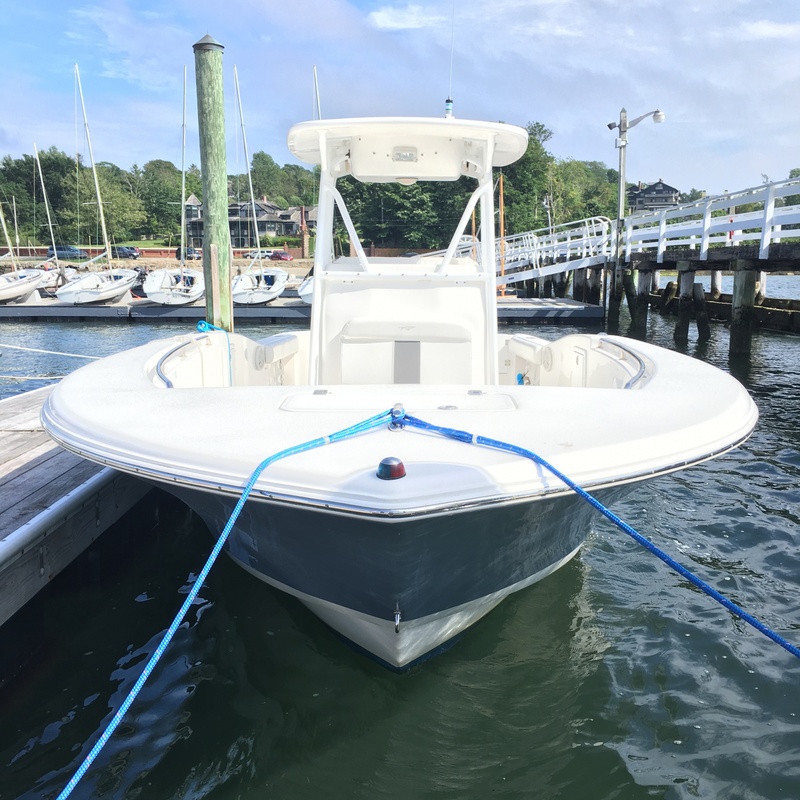 Enjoy a custom cruise with The Newport Inn's partner Custom Harbor Tours and their boat, "Razzmatazz," a 25 foot Tidewater, that is available to guests for private charters. "Razzamatazz" can accommodate up to six guests. Your entire trip is customizable. Allow your professional captain to give you a guided tour of Newport Harbor by sea, or plan to stop at one of the area's many beautiful coves for a day of swimming, relaxation and fun! Our suggested tour takes you along Newport's downtown waterfront, Fort Adams, Hammersmith Farm, Castle Hill Lighthouse and Goat Island. *Additional fees apply for provisions provided by crew. The boat departs and arrives at either Ann Street Pier or Fort Adams State Park. You can arrange with your captain to be picked up at whichever location is most convenient for you and your party. Both locations offer public restrooms. Ann Street Pier's restrooms are located in the The City of Newport's Maritime Center adjacent to the pier and Fort Adam's are located in the visitor's center directly across from the park's docks. .
To book your private charter, please fill out the form below or contact a captain directly by calling 401-241-5648. If you use the form below, a captain will contact you for confirmation and payment by credit/debit card. Please note: Boat charters are available Memorial Day to Columbus Day, weather permitting. All reservations must be made at least 24 hours in advance. Cancellations must be made 24 hours in advance. All cancellations made within 24 hours will be charged for the full amount of the charter. Reservations are subject to availability. Boat charters must be made at least 24 hours in advance. To book, please complete form below or contact a member of the crew by calling 401-241-5648. If you use the form below, a member of the crew will contact you to confirm appointment. A credit card is needed to secure your reservation. Payment can be made at the time of appointment by credit card, check or cash. There is a 24 hour cancelation policy. Any boat charter canceled within 24 hours of the charter will result in the credit card on file for the services being charged the full amount of the service.